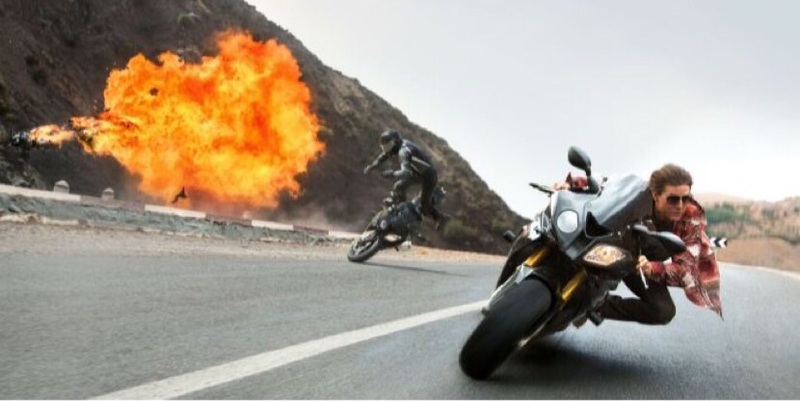 Tom Cruise resumes his role as action star in Mission: Impossible – Rogue Nation, a fun but patchy fifth instalment in the spy series. When the IMF is denounced by the CIA in light of recent events, Ethan Hunt (Cruise) must resort to fundamental smarts – and the help of old friends and potential new allies – in order to stop deadly network The Syndicate in its tracks. Neatly old-fashioned in its sensibility, Rogue Nation is fitfully entertaining, utilising one or two impressive scenes to deliver thrills. Likewise, Cruise is up to the mark, particularly when he’s clinging to the side of an airborne plane, and matched at every step of the way by series newcomer Rebecca Ferguson, who carves a decent and intriguing character out of triple agent Ilsa Faust. Yet the script lets everything down. Stitched together in an overly convoluted fashion with uninspired direction, Rogue Nation lurches from one set piece to the next, hanging on by a thread in the quieter, more descriptive heavy moments.